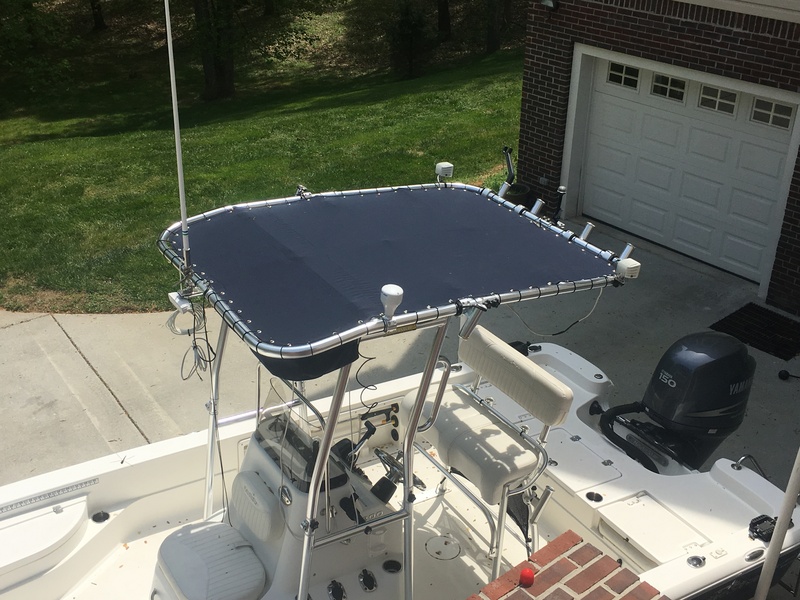 Concord Custom Canvas provides T Top boat covers for center console power boats. The cover featured in these images is made of Sunbrella canvas. It has grommets along the perimeter for lacing the top to the frame. A bag added to the front can hold lightweight items in a convenient location. Wire channels were added to arrange the wiring of lights and other electronic equipment. 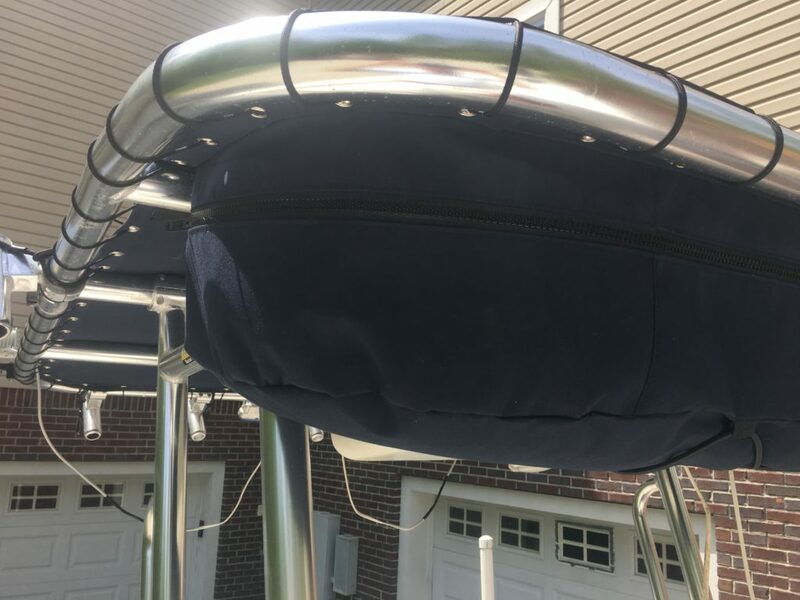 The owner of this boat also requested that we add a bag to the front of the cover that can hold light items such as life vests. Two separate zippers allow the front and sides of the bag to be unzipped to reveal the contents. 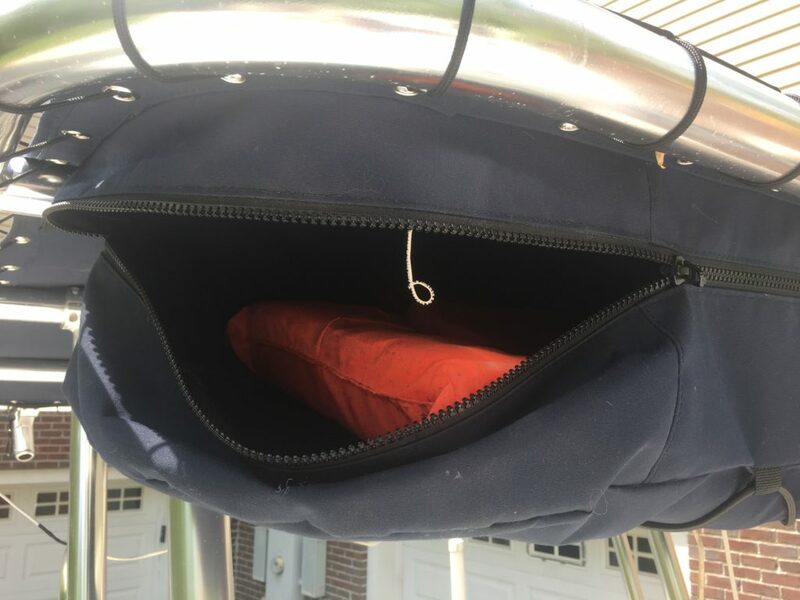 Zipper opened to show contents, in this case a lifevest. 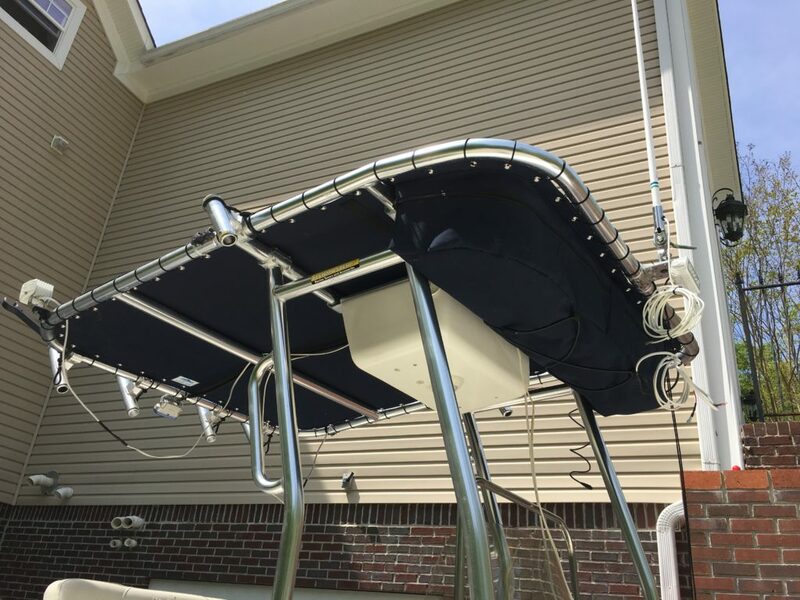 The owner of this boat also requested that we add channels to the top that will keep electrical wires tidy. The images show the top immediately after installation before the owner routed the wires through the channels. 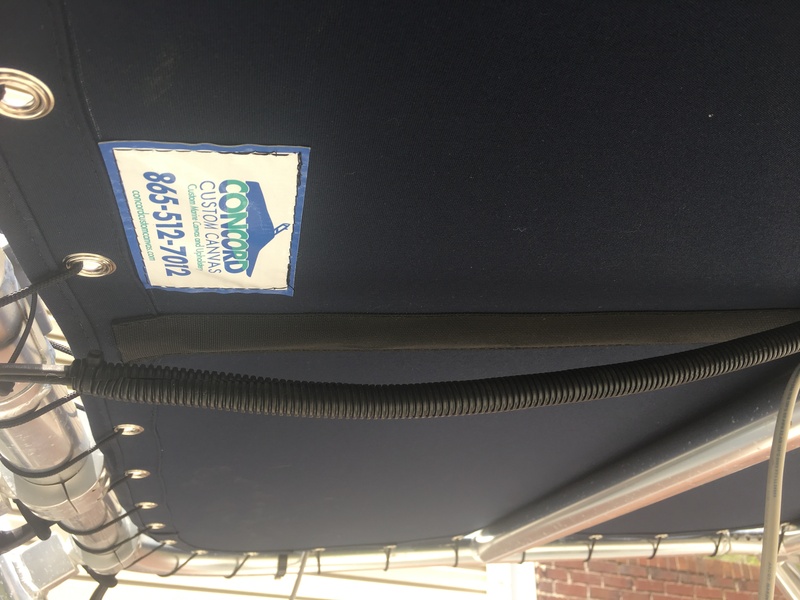 Close-up of a wire channel near the stern of the T Top cover.